Another standout recital the next evening was given by the Duo Maccari-Pugliese—Claudio Maccari and Paolo Pugliese. 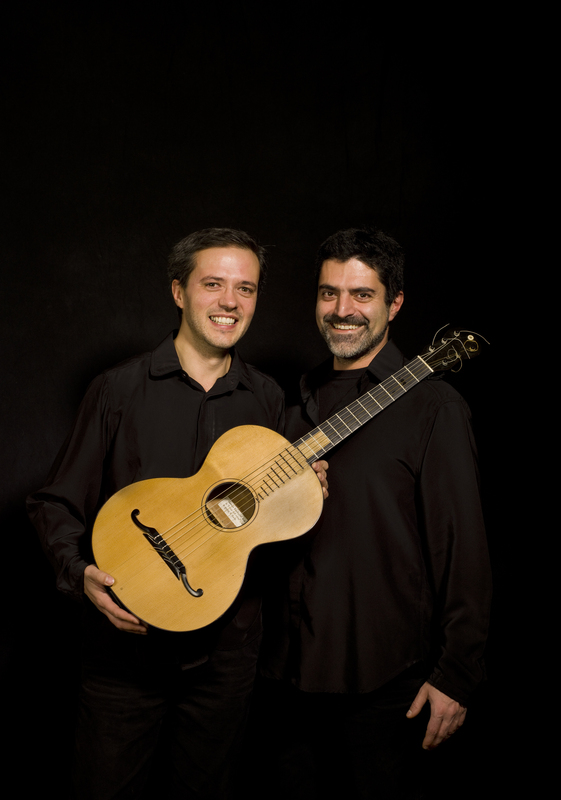 They used original guitars by Turin luthiers Gaetano Guadagnini and Son, and both played them standing up, in authentic early 19th century style. This enabled them to interact with their movements, almost as if they were dancing. Their playing of Beethoven’s Appassionata and Pathetique sonatas were a revelation—I thought this could not possibly work, but it did, and their concert of Rossini, Beethoven, and Sor was as intelligent as it was profoundly moving. Style, daring, humor, and freedom were all there in abundance. “…Souvenir de Russie is one of the very best of all duos from this period, and I have never heard it played as well as it is here. This is really great music making!”. “…Your Sor DVD has everything I want from a guitar duet – virtuosity, sensitivity to phrase and nuance, a beautiful sound, a finely developed sense of ensemble. A listener would have to have cloth ears and a heart of stone not to be profoundly affected by this superb performance of music”. “…The first thing is to say, what thoroughly accomplished playing! There is nothing missing in areas of technique, expression, musicality, style, and the one thing most period practitioners neglect – flair!